SAN ANTONIO, Texas -- It had been 13 years since the Texas Golf Hall of Fame inducted a new class. And that 1997 class didn't even get an induction ceremony as the Hall, then based in The Woodlands, closed its doors. Ben Crenshaw, who was inducted into the Texas Golf Hall of Fame in 1984, poses with Kari and Wesley Wade, whose father, longtime sportswriter Harless Wade, was inducted posthumously. Now it's back in business, with a new home and a new class of inductees. 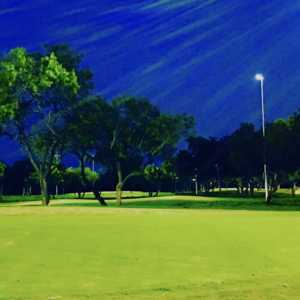 The new site is an old golf standby, Brackenridge Park Golf Course, located in the heart of San Antonio. The A.W. Tillinghast course, longtime host of the Texas Open, also got a shot in the arm a couple of years ago with a renovation that has put Brackenridge Park near the top of the list of state municipal golf courses. Now, it houses the new and improved Texas Golf Hall of Fame, which originally opened in 1978 in Willis, north of Houston, at Texas National Golf Club. That first year's class included Jimmy Demaret, Byron Nelson, Ben Hogan, Babe Zaharias and Lee Trevino. The Texas National site never gained momentum. It got new life when The Woodlands Corp., bought the rights in 1988, but the Hall was mothballed in the late 1990s when The Woodlands lost its PGA Tour event, the Shell Houston Open. Along the way, there's been the controversy of missing artifacts. And now, the Hall has returned to one of the most historic sites in Texas golf, a location where the legends and PGA Tour players walked the fairways, including Ben Crenshaw, who played in state junior championships at Brackenridge Park. "I think this is really the place where it should be," said Crenshaw, who was inducted into the Texas Hall in 1984, the year he won his first Masters. 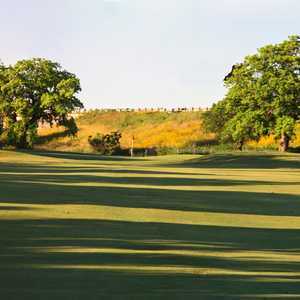 Efforts to bring back the Texas Golf Hall of Fame started in 2008 as part of the restoration efforts at Brackenridge Park. Joe Black, a member of the Hall and former president of the PGA of America, contacted San Antonio officials about bringing it back and locating it at the "Brack," which is the birthplace of public golf in Texas. Black recommended the Hall be governed by a diverse board of directors to assure continuity. The board, headed by Chairman Buddy Cook, includes Executive Director Reid Meyers as well as a dozen directors representing different golf organizations. The plans for a museum and exhibits at Brackenridge Park are ambitious and extensive. One phase includes a Walk of Fame, which is located under the old oak trees between the clubhouse and the historic Borglum Studio. There are also artifacts in the clubhouse, and when the restoration of Borglum Studio is complete, it will house many of the exhibits. "I can't tell you how much it means to have the Texas Golf Hall of Fame back in the heart of Texas at Brackenridge Park," said Cook, a longtime fixture in the golf business in Texas. The new class of the Texas Golf Hall of Fame, which was inducted at San Antonio Country Club on Oct. 25, is the largest yet. Ten new members, plus three from the 1997 class, were inducted at the dinner, which was emceed by golf commentator Dave Marr III of the Golf Channel. Among the 1997 class was Lee Elder, the first black pro to play in the Masters. It also included Morris Williams Jr., a great Austin amateur player who was killed in the Korean War, and Cedar Crest Golf Course, which along with 2010 inductee Brook Hollow Golf Club, is a member of the Texas Registry of Golf Courses. The 2010 class also includes Fort Worth's Mark Brooks, who won the 1996 PGA Championship, and The Woodlands' Carol Mann, a member of the World Golf Hall of Fame. Other 2010 inductees are outstanding amateur Carolyn Creekmore from Dallas, El Paso teacher and Fort Worth native Bill Eschenbrenner (who helped Trevino get to the PGA Tour), and golf historian Frances Trimble from Houston. Longtime pro Warren Cantrell from San Antonio, Fort Worth amateur standout Toni Weiser, San Antonio golf pioneer Will Symons, Sr., and Dallas golf writer Harless Wade were inducted posthumously. Nominees came from the general public and from members of the Texas Golf Hall of Fame Executive Committee. The executive committee cast the final ballots.